Russian-born real estate developer Felix Sater will publicly testify before the House Intelligence Committee on March 27 after previously delaying his appearance due to scheduling issues. Why it matters: Sater is expected to discuss his work with Michael Cohen on building a Trump Tower in Moscow — a project that helped land Cohen a 3-year prison sentence after he lied to Congress about how long negotiations extended into the 2016 presidential campaign. The backdrop: Sater, a convicted felon who pleaded guilty in 1998 for his involvement in a Mafia-linked fraud scheme, promised Cohen in 2015 that the Moscow project would be completed with the aid of Russian President Vladimir Putin and that the deal would help Trump win the 2016 election. In a 2013 sworn deposition, Trump testified that he barely knew Sater and that he wouldn't recognize him if he was sitting in the same room. 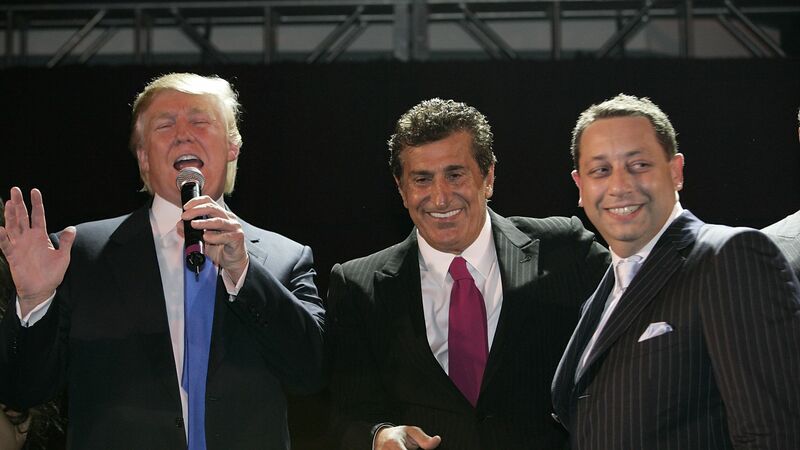 But Sater has previously testified that he knows Trump personally and that he visited his office throughout the 2000s to discuss possible business deals. The big picture: Sater's public hearing next week comes exactly one month after Cohen's explosive testimony to the House Oversight Committee. House Intel also plans to hold a public hearing on March 28, titled "Putin's Playbook: The Kremlin's Use of Oligarchs, Money and Intelligence in 2016 and Beyond."